Warriors of Ancient and Medieval Ireland. 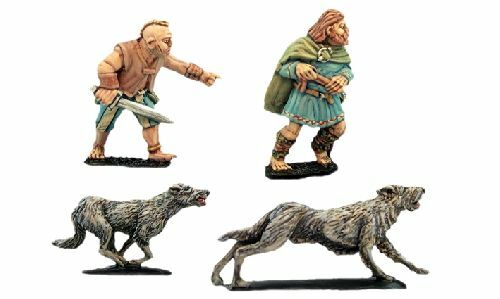 Packmasters and Hounds. Pack contains one of each handler and four of each hound. Supplied unpainted. Painted examples provided by Mark Dixon.